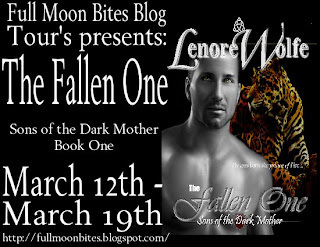 Full Moon Bites: Blog Tour: Character Interview & Giveaway with Lenore Wolfe! 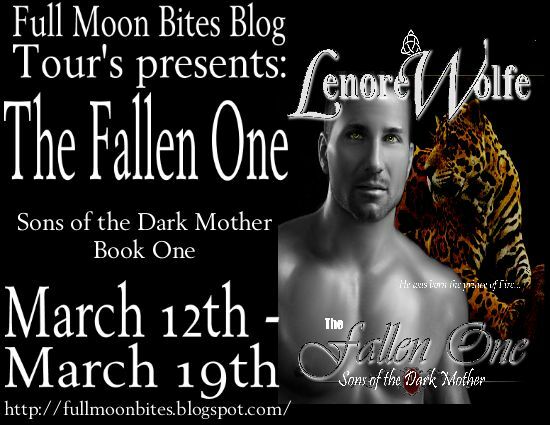 Blog Tour: Character Interview & Giveaway with Lenore Wolfe! Holly: Hello, Dracon, thank you for taking the time to do this interview with me; I am sure you have more important things to do. Would you mind telling us a little bit about yourself? Dracon: I am Dracon, of the ancient vampires. I am not turned, but descend from the ancient vamps who learned to walk the Mother Earth once more--escaping death himself. Holly: It is my understanding that you are not a turned vampire, does this mean you were, erm, born? Dracon: Shortly after Atlantis fell, some of our people, who were from the Crow People--from a planet close by to the Jaguar People--decided they would not die. The people lived over a thousand years at that time, so they were not use to the idea of dying. We had lost our ability to rejuvenate--when we lost the stone that was the heart of our Mother Earth--so that when we died, some of us refused to cross over, but instead escaped into the 5th demension, into the Land of the Fae. It took us over 100 years, by the turn of Mother Earth, but we learned how to walk back into Mother Earth with our bodies, but without the life-giving blood, we would not have survived. We developed a powerful craving for this blood--and in this way--we became immortal. Because of the way we came back--the way we came to have a bodily existence--we rarely have children. But some were blessed. My parents were one such couple blessed. And I am one of these rare beings born--I am Dracon, Prince of Air. Holly: Another thing I heard, is that you do not have much use for humans, surely that is not true as a vampire you drink blood, unless all those myths aren’t true? Dracon: I do not have much use, or respect, for humans--since they arrogantly chose to believe that they are the only race in the galaxy--and as such, they use up our Mother--like there is no end to her resources. But we do not wish to harm the humans. In fact, the humans would do well to realize they would not have escaped other races in the galaxy, who would come and take the Mother from them, if it were not for the People who protect them--without benefit of their knowledge--or their thanks. Over time, our people realized that we would abolish an entire race if we were to feed freely upon human blood. The Fae would not allow such destruction of life--even though they, too, often find the humans to be an arrogant race--a race who believes they are the only race in existence. Many of us agree with the Fae. I agree with these Fae. Still, some of us did not wish to become monsters--because our own principles--not just because the Queen of Darkness would have us destroyed if we attempted such a thing. Some of us do not wish to destroy the human race, so we developed laws. These laws now govern our people--but there are those--who are turned vamps--who do not wish to be governed by such laws. And so we have war. The ancient vamps work with the Alliance, with the Jaguar People and the Fae. Over time, the Alliance developed a synthetic drink at our labs within the Alliance. In this way, we are not driven to kill with our thirst. Until we had these, many of us fed off of the blood of animals. A human religion, who would not take blood, were key to the development of synthetic blood. We expanded on this development. Now, the need for blood is no longer an issue within our race. You will learn more about this in the next book, Embraced by Shadow, from the Sons of the Dark Mother. Holly: How long have you known that you were one of the four foretold Princes who would save Mother Earth from Destruction? Dracon: The Prophecy has been told since the fall of Alantis. The Princes of the Four Directions would rise up to stop another--more certain--destruction of our Mother Earth. Only by the Fae, the Witches and others, were we able to stop the destruction of the entire planet--with the fall of Atlantis. These ones worked together to hold our Mother from spinning completely off her axis. As it was, she turned completely on her axis so that the ice came. Holly: How did you feel or what did you think when you first leaned you were? Dracon: My parents were among those who learned to walk from the Land of the Fae. However, it took hundreds of years to convince my mother to walk back on Mother Earth in bodily form. My mother did so to save someone she loved. You will get to read more about her in my story in Embraced by Shadows, from the Sons of the Dark Mother. Holly: Are you friends with the other princes? Dracon: We are like brothers. We carry a bond--brought by a great responsibility that we share. It is the responsibility to our Mother Earth--to stop all would seek to control others--to the point of their destruction--and the destruction of our Mother, herself. And if we fail--all will die. Holly: The rumor mill is buzzing will tales of you lately, one being that you have been seen around with a certain female turned vampire . . .? Dracon: I have always lived by certain rules. I have no use for turned vamps--because many of these vamps care nothing for the Mother--but feed only their own thirst--to their own destruction--and that of all that is around them. Holly: Thank you again for setting down with me to do this interview, Dracon! Dracon: Thank you for having me. And remember...heed well the beat at the heart of our Mother Earth...or perhaps you, too, shall have a shadowy visitor--in the darkest hour of the night. An ancient race and a prophecy foretell of four dark princes, the sons of the dark mother, who will rise up with a nation of old vamps to stop the rogue factions from ruling over mankind. Justice is the first in that prophecy, from the ancient Jaguar People. He is the Prince of Fire. Jess is one of the three sisters of the Jaguar witches who must help him to stop these factions of rogue vamps--or none of their lives will ever be the same. Chicago, Illinois, fifteen years before…. The children moved down the back-street alley, just as they had every day before, on their way to school. The crisp air bit at their noses. The gravel crunched beneath their feet, mixed with clean, white snow that, on any other day, would have had them playing and laughing with glee, leaving a trail of footprints behind them. Today was just an ordinary day, a day like any other day, a day that should have been light and happy, like any bright, sunny morning, on any clear, cold day. But the children were not laughing. Even to a child, something about this day didn’t feel right. Their older brother always walked them to school, then took himself off to class. The three girls glanced up at him now, almost in unison, beneath the dark, curly lashes of their matching yellow-green-gold eyes. The charge in the air was almost palpable for children as sensitive as these children. Something in the air simply wasn’t right. Something didn’t bode well—for any of them. Their brother’s name was Justice. And perhaps it was fortuitous that his parents had named him so, for nothing would prove this better than on this day, at this hour. He was about to live up to his name, and he always struggle with this responsibility, as well as the monster inside of him. But that couldn’t be helped—any more than what was about to happen. Justice was just fourteen years old, and was a stout, muscular youth. His skin was darkly tanned by the sun. And he was his three little sisters’ knight in shining armor. He would do anything for them—and they knew it. His heart was big—much too big for the burden of what was about to happen, and that burden would weigh upon him for much of his life. He was also a gentle boy—except when gang members threatened his sisters. Then he was anything but gentle. The gang had a thing for him because of this. They had never quite been able to settle the score. And each time—the score grew bigger. One of the gang members stepped out in front of them now, before they had even reached the end of the alley. Justice knew they had been waiting for him. This wasn’t the first time they’d laid a trap for him. Yet somehow, Justice knew, this time it would be the last. He had beaten their asses last time—even with the odds at one against five. Anyone else probably would have decided to leave him alone after that. But somehow Justice had known that this vendetta they had for him had only intensified, and he had known they’d be back for more. He yelled at his sisters to run, the way he had every other time, and run they did. And like every other time, it didn’t occur to any of them that their brother wouldn’t come out of this okay. After all, he always did; he was their hero. They couldn’t know what these beatings did to him. Nor could they know what today would cost him, or what he would suffer—all for what was about to happen. The gang was fed up with getting their asses beaten down. They were fed up, and they wanted revenge. They hadn’t taken any chances, and this time they’d brought some equalizers. Yes, Justice had a big heart when it came to his sisters—but this was war. And he was at home with war. He felt as if he’d fought in wars for lifetime after lifetime, as if he’d been going to war forever. He felt old, even though he was only fourteen. His shoulders dropped upon eyeing the number of gang members they had brought this time. They weren’t interested in honor. They weren’t interested in making this a fair fight. It had occurred to him, more than once, to wonder why they didn’t just get it over with—and shoot him…. They had, however, never brought guns to these fights. The fact that they hadn’t was the only sign of honor they’d ever shown. Perhaps they had seen him as a worthy opponent, in some twisted way. Other than that, they’d shown no mercy. Justice fought without a shred of mercy. He was as strong as an ox, even at his young age, and the last time they had fought, he’d given these boys a beating that had laid them up for the past few weeks. But they were ready for him this time, and the gang was sure that they were finally going to even the score. One of them hit Justice with a heavy pipe: the sound of it hitting his flesh was a sickening thud in the cool morning air. He beat that kid’s face with his beefy fists, while the others fell upon him. They hit him with chains, boards, and even a brick, while he unflinchingly kept pounding on the gang leader. He was going down, he could feel it, but he wasn’t going to go down alone—and he refused to waver. However, he did worry. What would his sisters do now, with no one to protect them? He was screaming inside; he was beyond rage. His family had fallen apart. Their parents had failed them and he had done everything he could for two years now to make up for the lack, to protect them, but now even he had failed them. He bellowed like a wild animal, screaming his rage at the sky. His entire world was gone, and now theirs would be too. For without him, they wouldn’t last long. This gang hated him too much to let this end with him. He screamed, bloody and beaten: screamed his frustration—screamed his rage. He had failed them. His chest burned, his body burned: he was on fire. He’d never felt anything so painful. The gang members just kept beating him down. He couldn’t breathe. He couldn’t move anymore. He knew he was dying. He wasn’t prepared for what happened next. He was a sensitive: he knew things, sensed things the rest of the world didn’t believe existed. But even he wasn’t prepared for the change that suddenly came over his body. He stared at the claws that had unexpectedly ripped out of the end of his arm. For a moment he could only stare. The members of the gang stared too, and first, and then, when he rolled easily to his feet, they backed warily away from him. He let out an eerie cry: the cry of a jungle cat. The gang backed farther away, glancing down the alley, clearly trying to gauge their chances for escape while shock turned their faces to chalk. Menace filled his veins. He felt no pain now—and neither did he feel mercy. Nothing could stop him; and he didn’t stop, not even when they screamed, not even when their blood sprayed across the clean, white snow like art gone crazily awry. Everyone who witnessed the aftermath was left with a horrifying sense of nausea once they realized what must have taken place here this day. He didn’t stop, not even when their blood filled his senses. He didn’t stop until they all lay in shreds—and when he finally did, he could only stare at what he had done. He stared down at his now-human form, unable to absorb what had happened, what he had turned into, what he had done. He bent over double, bile filling his senses, along with the smell of their blood. He had killed them all. He couldn’t grasp the enormity of it. Nothing made sense; his head whirled and his heart pounded. He couldn’t absorb what he had become. Nothing could have prepared him for this, for what he’d changed into. It started to rain, as though the Goddess knew exactly what he would need here, now, on this day: this day that would mar every other day of his life for years to come. The rain felt warm and melted the snow even as it washed away the blood. He stared up into the sky, amazed at how the cold, crisp morning had suddenly turned warm enough to allow the rain, even more so than he’d been by the beast that had ripped its way out of his body. He stared, letting the rain drench his skin, washing him clean. He stared at the lifeless bodies of his enemies, watching their blood run down the alley in rivulets, and it finally occurred to him—with the sense of self-preservation finally pulsing through his brain—that he should get out of here before someone saw him. He looked wildly around, expecting to see horrified faces staring at the monster he’d become: but no one was there—no one had seen what he had become. No one had witnessed his murderous acts: well, at least, no one who had stuck around afterward. But they never came. No one ever came for him. He’d just made it to the end of the alley when he saw her small face peeking out, staring in horror at her gentle, loving brother, her yellow-green-gold eyes wide with shock and terror, and he knew that she had brought the rain. She controlled the weather, and whenever she was really upset, storms were sure to follow. She was his youngest sister, and he had no idea how it was she had escaped from her other sisters, but there she was, hiding behind some cardboard boxes, staring at him in horror, with her small body shaking—but whether that was from what she had just witnessed or from the fact she was drenched, wet, and cold he couldn’t tell. She looked at him as if he was the monster he now knew himself to be. And when he stepped toward her, she started screaming, her screams shaking him worse than anything else that had happened there that day. And then she ran. He somehow made it home, although he wouldn’t remember how he had managed it for many months, nor would he remember how the people he had stumbled past had stared at him in horror and fear, often quickly crossing to other side of the street. He found his way into the bathroom, where he stared horrified at his own reflection in the mirror and touched his face. It felt surreal; he felt surreal. He felt numb, carefully touching his face while staring at—and watching himself—in stupefied horror. How could he possibly look the same? He’d become a monster. How could he look the same—ever again? He tried to clean the blood off of himself using the buckets of water they had hauled from a friend’s house, since their water and electricity were now shut off. He tried to clean and examine his wounds. He peered through bleary eyes at his head. As near as he could tell, his head was split in five separate places. He needed to go to a hospital. But how? How could he take himself to the hospital? Wouldn’t they connect the brutal slayings in the alley to him, because of the beating he had taken? He stared at the splits in his scalp. He didn’t have a choice. These would never heal by themselves. He stared at the gashes on his arms and on his chest. Blood covered him everywhere. Finally, with despair, he began to walk the six city blocks to the hospital. People stared at him, as they had before, giving him a wide berth. By the time he stumbled into the emergency room, he’d lost too much blood. He spent the next three days in a hospital bed, and received more than eight hundred stitches. They sewed up the gashes in his arms, the knife wounds to his chest and ribs, and the gashes in his head. They told him he was incredibly lucky to have survived whatever had killed those gang members. They said it looked like an attack by a wild animal, and whatever beast it had been had cut those young men to shreds. They couldn’t imagine what kind of wild creature would have come this far into a large city, or how it had avoided detection. But it had, for sure, been a large, wild animal. The police questioned him. The doctors questioned him. The news questioned him. And then it seemed as though all the wildlife, fish, and game experts in the US had come to question him. Finally, even the government came to question him. They said it was the gang’s fate, for they were some of the worst scum around and had a reputation for not showing mercy. As for Justice, they repeated that he was lucky to have lived. He had escaped both the gang and the crazed, wild animal, and he was the luckiest young man alive. They couldn’t have known just how true those words were—or how he’d managed to stay that way. They couldn’t have known that the monster that had killed those gang members—had also saved his life. But now Justice had a problem. How had he transformed? And why? I grew up in Montana, and Alaska, and currently live in central US. I hold a BA in Sociology, from the University of Northern Colorado, with a minor in writing, and I am student of the Shaman path. 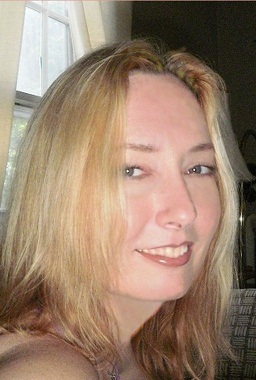 And in spite of my struggles, I am living my dream by being able write and market my writing, and that’s a wonderful blessing. 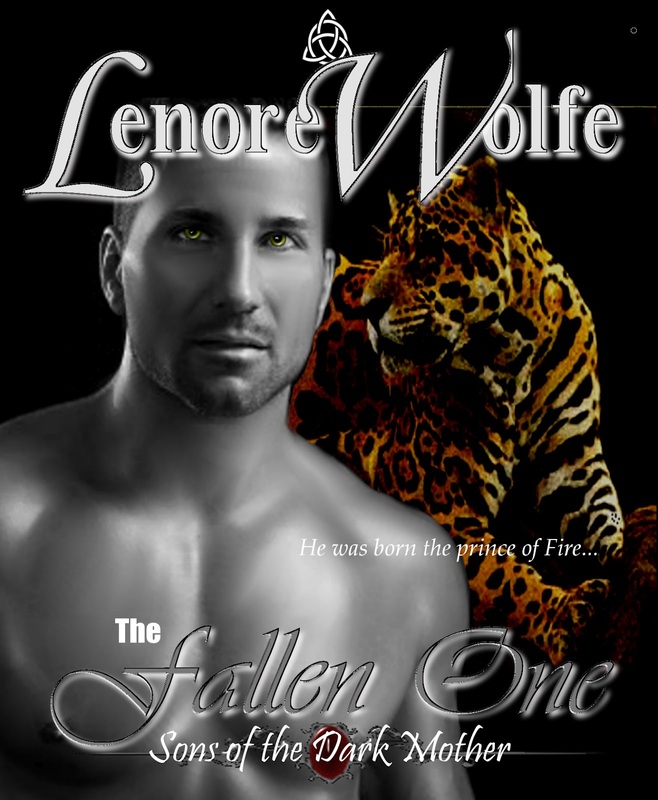 A eBook copy (via Smashwords coupon for free) of The Fallen One by Lenore Wolfe! Hi! great interview! 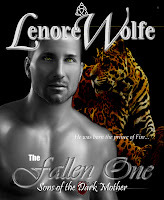 I really enjot Dracon as one of the four prince in this book! I hope I will be able to read about him in the next book!! !